Two popular guides in one! 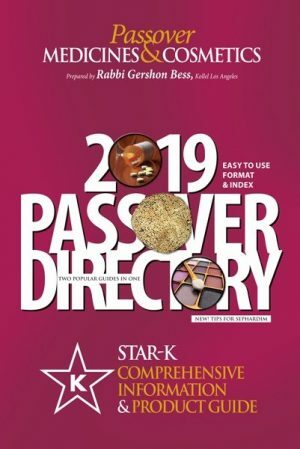 Passover Medicines & Cosmetics list, by Rabbi Gershon Bess of Kollel Los Angeles, and the Comprehensive Information & Product Guide by Star-K Kosher Certification of Baltimore, MD. Pesach 2019. Does not qualify for free shipping. Please call the store to order.